Tu b’Shevat is a holiday that really only makes sense in Israel. It’s considered the “new year’s day” of the trees. We have one, why shouldn’t they. And so, in honor of this wonderful yearly event, Israel’s Ministry of Foreign Affairs released this amazing video of some of the agriculture technologies coming out of Israel. These applications and inventions are used not only in Israel but around the world. When you think agriculture, you might think of tractors crossing huge fields of crops. In Israel, that’s certainly part of the industry but there’s so much more. In a country starving for water, where every drop counts, we lead the world in water conservation techniques. Of course, this knowledge is brought to the agricultural level as well. Think: drip irrigation, water recycling, biopesticides, biofertilizers and so much more. 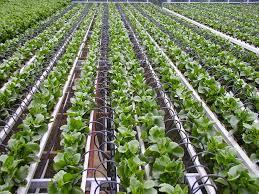 Drip irrigation was founded by Israel and has spread to the world. And, Israel’s achievements in desalination are well known in the field. Of course, there’s also Israel’s campaigns to save water in a variety of ways. Everyone in Israel knows how critical it is and this video just celebrates the best there is. So, please share this post with others. First, because Israel deserves the recognition. And second, because these amazing technologies are making a difference all over the world.